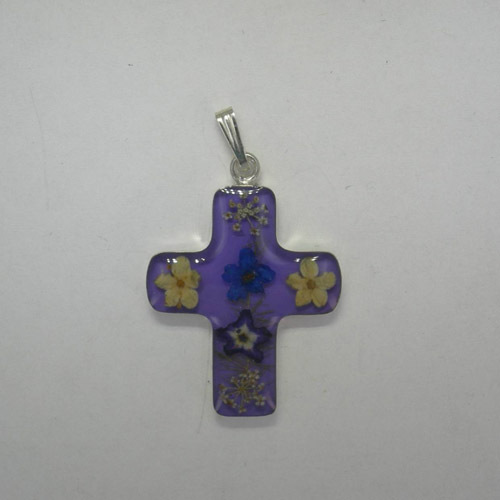 Desc: Sterling Silver medium purple cross with wildflowers pendant. The cross contains several genuine wildflowers inside the center. The background is purple acrylic. The pendant has a bright polish finish.